There's always lots going on in the community and we're excited to be a part of it. Read more about the latest in the news here.  Learn about all of our events here. 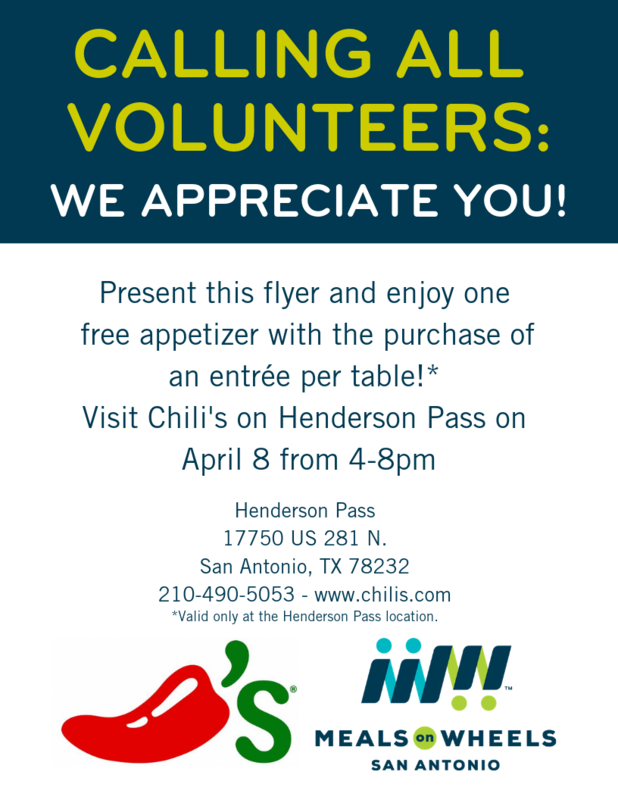 April 8, 2019: Meals on Wheels San Antonio Volunteer Appreciation night at Chili's on Henderson Pass- download the flyer here- or click the image below. 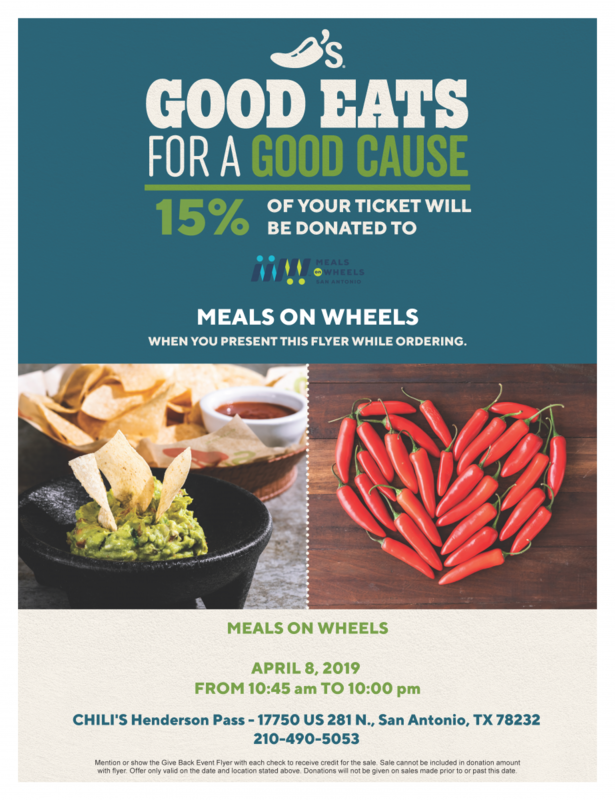 April 8, 2019: Premiere of Jefferson High School's Meals on Wheels Video at BexarFest- Get tickets here!